Home Buying, Selling, & So Much More! The Sali Homes Real Estate Team is passionate in our belief that the Real Estate process includes more than Selling and Buying homes. That is why our team goes above and beyond for all our Clients – to Make Real Estate Easy For You! Coordination of the services our clients need, at no extra charge! At any stage in life, moving is both an exciting and stressful time. 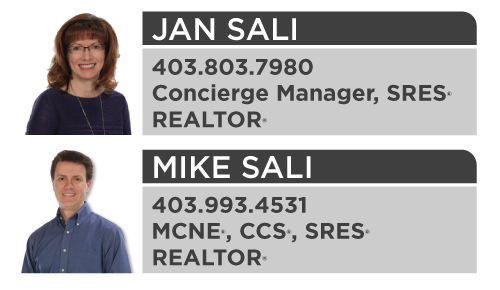 Sali Concierge is here to help by providing answers, obtaining estimates, and coordinating any additional services you may require. Don’t settle for less! We provide a complete Market Analysis, Action Plan and Selling and/or Buying strategy. We do everything you expect from a REALTOR® & more. Our extensive network of industry professionals provides you with access to a wide range of highly skilled specialists to ensure you a worry-free experience. We excel in helping you determine the current market value of your home (or the one you want to buy) with a complimentary, personalized Home Valuation to help you get the best price with the least amount of hassle. We utilize multiple technologies to provide the services you need. From websites to social media, electronic signatures to ActiveMarketWatch.com and more; we Make Real Estate Easy For You!